Israel’s massacre of at least 60 Palestinians on Monday was the worst in Gaza since the summer of 2014. That’s when Israel launched the 51-day war that killed over 2200 Palestinians, wounded thousands more, and left tens of thousands homeless. Now, usually it’s only during brutal military attacks like that one, or mass killings like Monday’s, that the world pays attention to Gaza’s plight. But what is the daily reality for its residents trying to survive and rebuild under occupation and siege? Well, a new documentary offers a window into the conditions that Gazans face. The journalists Dan Cohen and Max Blumenthal began filming in August 2014, weeks after Israel’s operation began. And while most news cameras left Gaza when it ended, Cohen and Blumenthal stayed behind. The result is a film called Killing Gaza. DOCUMENTARY: July, 2014. Israel invades Gaza. Everything was a target. 100000 homes destroyed. Towers bombed. 551 children killed. After 51 days, the war ended, but the terror continued. Deprivation, exclusion, a grinding siege with no end. We followed the people of Gaza during the war and throughout its devastating aftermath, watching from the ground as they kept up their resistance. Coming soon: a film on life under siege and the killing of Gaza. AARON MATE: That’s the trailer for Killing Gaza, new documentary from journalists Dan Cohen and Max Blumenthal. It has just been released, and it’s available at the website KillingGaza.com. Dan Cohen and Max Blumenthal join me now. Welcome to you both. Max, let me start with you. Put Monday’s killings in Gaza, this mass shooting of Palestinian protesters, in context for us. MAX BLUMENTHAL: Well, there’s a lot of context to provide. Unfortunately, it hasn’t been coming from most media sources that are covering it in the West, although I think they’re doing a better job than they had in the past. The atrocity is just impossible to ignore. What people need to know about the Gaza Strip is that most of the people there are refugees. The Gaza Strip is a human warehouse for people who don’t fit into the Jewish state. And so you have about 2 million people who are just kind of festering. They can’t be allowed in by Israel. Israel doesn’t consider them refugees, it considers them infiltrators. And it has laws on the books that allow for their arrest, or something else, if they attempt to leave Gaza and get inside what is now Israel, where they have legitimate claims to land and property. Throughout the ’50s, David Ben-Gurion, the first prime minister, had an open fire order against so-called infiltrators, and hundreds were shot. Most of them were economic refugees, people trying to come back to their land. And, you know, some of them were even trying to tend to their sheep and their olive trees. In 1967 Israel ethnically cleansed tens of thousands more Palestinians, and Palestinians were pushed onto the other side of the Jordan River. When they tried to return they were shot by Israeli soldiers with open fire orders. And this kind of policy continued all the way up until 2011 on May 15, 2011, Nakba Day, during the beginning of the Arab Spring. Palestinian refugees tried to rush the Israeli border from Lebanon and Syria. They were shot in similar fashion. Scores were shot. I remember walking through refugee camps in Beirut and seeing young men with massive casts, with parts of their legs blown off. And this is all leading up to today, where the Gaza Strip has been under siege for 12 years. The economy is just obliterated by a siege and a policy that Israel has of trying to demoralize the population so that they’ll turn against their leadership, Hamas. The violent side of that policy is referred to informally in the Israeli military intelligence apparatus as ‘mowing the lawn,’ kind of cutting down those blades of grass to size, so they don’t grow up too high and get their morale up. And people are desperate in Gaza. I was there in January. And you know, you talk to people across all sectors of life, even if they do have food in their kitchens, and you know, a place to live, they don’t really have any opportunity. They often can’t leave. And so there’s just a desperation and anguish. And that’s what really led to these protests. And these protests, as Dan documented in our documentary Killing Gaza, have been going on sporadically since 2015. And we saw, really, the will of Gaza’s civil society play out, with tens of thousands of people wanting to declare their right of return on the 70th anniversary of the Nakba, the dispossession and systematic ethnic cleansing of Palestinians which occurred in 1948, where 70 years on people want to say, we haven’t forgotten. We want to come back. We’re desperate. We deserve a normal life. And we see what normal life is through watching, through social media, and we see how you live. Israel continued its open fire policy. I think it underestimated how this spectacle would play out in international media, especially with the embassy opening. And you know, it was a perfect human disaster that was on display. And this is, you know, what we tried to do with killing Gaza is just to show what it’s like on a day-to-day level. And you know, we were fortunate that Dan was able to get in there after the 2014 war and to be able to provide that portrait. So you know, by watching this documentary you’ll see what people are really dealing with and coping with on a day-to-day level. And that’s how you can understand these protests. AARON MATE: So, Dan, talk about your process. 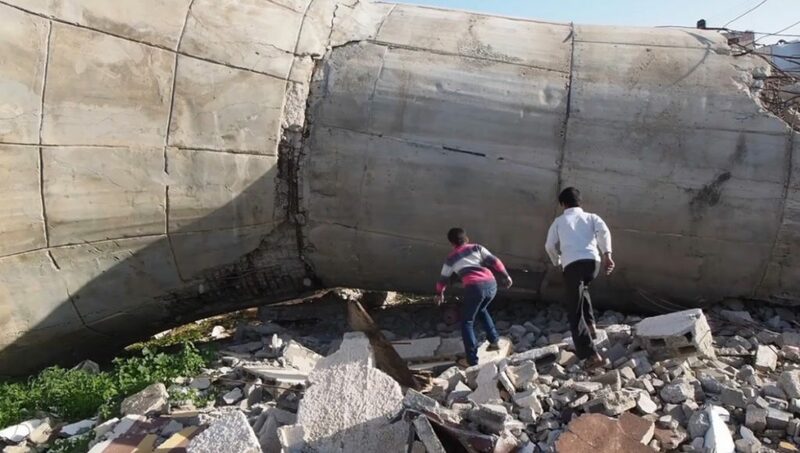 What’s interesting about your film is you go through different parts of the Gaza Strip that were destroyed, ravaged, attacked during the 2014 assault. And you stay there with the civilians and talk to them about what they went through during the attack, and how they’re trying to rebuild. Talk about your experience just embedding in these neighborhoods. DAN COHEN: Well, we really didn’t have a plan to make a documentary when we first went in during a five-day ceasefire towards the, in the latter half of the 51-day war in the summer of 2014. But as Max and I went around the rubble it became very clear to us that we had the basis of what should form a documentary. And I was based in the country, and had only just gotten access to the Gaza Strip. And so I kind of made it my mission to continue to go back and, you know, upgraded my equipment slowly, and just spent as much time as I could documenting the struggle of people who had lost family members, who have lived their entire lives under occupation and increasing isolation, and had seen their family members and their homes be destroyed. And so when when the foreign press left, that’s, you know, where we really wanted to pick up, when the cameras went away. We wanted to show what it’s like for these people to live and die in total isolation, away from the rest of the world. In Gaza you have about three to four hours of electricity per day, and rolling blackouts. The vast majority, about 98 percent of the water is undrinkable. You have salt water when you take a shower or turn on the sink. So people are dealing with these everyday crises that, you know, living in the U.S. you and I take for granted. Or even when I would just go back into Israel, or you know, just things you take for granted, like being able to iron your shirt at night. Being able to just do anything that makes a normal life. And so what I tried to document is how Palestinians are being subjected to the worst kinds of psychological pressure that humans can really subsist under. And then also not only portraying them as victims, but also portraying their different ways of resistance, both armed and unarmed. As you’ll see in the film, we, I was able to embed with one of the armed resistance factions. And I kind of, you know, tried to go beyond the, you know, the myth, or the the kind of narrative that these guys are just bloodthirsty terrorists, and show that there are very, in my opinion, legitimate reasons for joining the armed resistance in such conditions. But at the same time, many people find other ways to resist. And you know, you see that in the film through art, through paint, through dance. And so the idea was really to kind of show a portrait of this society, closed off from the world and being crushed from all sides. AARON MATE: Let’s go to a couple of clips. One of the first areas to be attacked by Israel was Rafah. And you spoke to some residents who talked about being used as human shields inside their own homes. So those were some residents in Rafah. You also spoke to the family of a young infant who died in the freezing cold months after the Israeli assault ended, a family that was left homeless by the attack. That’s a clip from Killing Gaza by Dan Cohen and Max Blumenthal. Dan, when you were speaking to these different residents in the ruins of their homes, what sense did you get from them about how they feel towards the rest of the world? Not just Israel, which has besieged them and attacked them, but the entire world, which has basically stood by as this has happened? DAN COHEN: Well, I think the people of Gaza are not looking so much for help, for aid from the rest of the world. They don’t, you know, they don’t really want that. And some people were angry, you know, at the outside world, particularly at the U.S., because it is, you know, the main backer of Israel and provides, you know, total impunity. But they also differentiate between the government and the people, which is a thing that, you know, our media doesn’t really promote in American consciousness. But Palestinians have a very clear understanding of that. And so first and foremost, the, you know, the condemnations I would hear is against, against Arab, against other Arab countries, and particularly the theocracies in the, in the region. The Gulf state countries that are now allied with Israel. Saudi Arabia, countries like that. You know, where are they, is what people would say. I mean, I remember there was, there was one family that, you know, became a little bit agitated with me because I’m American and I just talked to them for a few minutes, and they kind of let out their frustration with me. And then they accepted me and were extremely kind, and showed me, you know, the very, the hospitality that is really typical of, of Palestinians. So you know, I’ve, I think in terms of how people view the outside world is that they have basically allowed Israel-. It’s actually, you know, they understand that Israel is a reaction to European anti-Semitism. And European Jews who, you know, Europe never really dealt with its problem, and so they’re making Palestinians pay the price. And they have a very clear understanding of that and see the world as totally complicit in their suffering. AARON MATE: So Dan mentioned earlier different ways in which Palestinians resist and cope, and one of them, as Dan said, was dancing. And you guys filmed a breakdancing crew, I believe the first breakdancing crew in Gaza. And they spoke about what dancing means for them. That’s a scene from Killing Gaza. Max Blumenthal, if you could talk about this, just your observations on what you learnt about how Palestinians in Gaza cope with their reality? MAX BLUMENTHAL: Well, we actually, I think Dan made the connection. We met Shark, that was the voice of Shark, the founder of Camp Breakers, at a cafe in Gaza City in a neighborhood that, you know, is considered kind of middle class. I think, you know, people think of Gaza as what, you know, through the images they see in the buffer zone. These protests of horse-drawn carts dragging wounded people who look extremely bedraggled and desperate away from Israeli sniper fire. But you know, Gaza has a very highly educated, intellectually and politically diverse society. And it’s full of young people who are very active, unusually active, on social media, and who are very connected with the outside world in every sense except the physical sense. And when we met shark and his crew at this cafe, Marna House, that really came to light as he described to us how difficult it was for them to be able to participate in the culture of hip hop, which really requires as a B-boy the ability to battle other crews, pick up other moves. You know, you have to you have to study their moves through YouTube and social media, and you can’t really network. I mean, hip hop and just youth culture in general is all about networking. And they were under siege. One of Shark’s friends asked Dan to bring him some parts so he could, or to bring him a guitar. I think there is a request for Dan to bring some DJ equipment from Tel Aviv. I mean, stuff they just couldn’t get. And during our conversation I saw a flash on the face of Shark, and then a massive explosion. And a few neighborhoods over in the al-Nasser neighborhood, Israel had attempted to assassinate Mohammad Deif, who is the leader of the al-Qassam Brigades, the armed wing of Hamas, who had survived four previous assassination attempts. He survived this one, as well. They wound up killing his daughter and his wife with GBU bunker buster bombs, 5000-pound bombs supplied by the U.S. I mean, it was the biggest explosion. And then our interview kind of came to a close, and Shark went off to Nuseirat Camp, where he lives. And he told us, you know, be careful. This is the world he lives in. And Dan was able to film them showing their moves in the rubble of Shuja’iyya, which I think really brought it all, all the contradictions together. They are fortunately, they were fortunately able to get out and participate in breakdance competitions in Europe. I don’t know if Dan wants to add anything, but you know, they really reflect the story of a lot of youth in Gaza who are just simply trying to get out at any cost, and have no desire to go back. DAN COHEN: Yeah. I think it, I’ll add just a little bit. I think, you know, Shark’s Case, you know, Shark is from Nuseirat refugee camp, one of the more conservative refugee camps, and he started the, the first B-boy crew and school in the Gaza Strip. And young kids, I mean, little girls, all the, little boys and girls all the way down to three years old, their parents started bringing them there. And it was basically, you know, a form of therapy for these kids who had just survived this brutal war. And so he really was doing, you know, in my opinion what is holy work. And you can see how Gaza is starved for connections to the outside world. And Shark, as Max said, he ended up, he’s in Germany now. You know, he can’t go back to Gaza. And so he’s building a new life there as a dancer, and his brother did the same. He’s in the U.S.
And so you know, that’s, that’s the struggle for so many young people who, their hearts and their, you know, their families are in Gaza. But there’s just simply no opportunity to have a decent life there. And so basically all of the young people that I met, that I got to know very well in my time in Gaza, most of them have left. They’re in Europe, they’re in the U.S., trying to build a life outside where there is opportunity, and hoping that one day they’ll be able to go back to Gaza in better conditions. AARON MATE: As we wrap, Max Blumenthal, talk about what you hope to accomplish with this film. 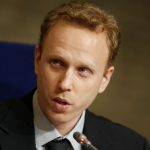 MAX BLUMENTHAL: Well, with this film Dan and I want to accomplish the same thing we want to accomplish with all of our journalism, which is just to simply educate Americans, educate people living in this empire that is responsible for this systematic immiseration of Palestinian society, and so many other societies. Pretty much the entire Middle East has borne the brunt of America’s hegemonic project. And so what we want to do is just show what life is really like in Gaza, and the voices of the people there. We didn’t interject ourselves. We’re not, you know, going on some safari in front of the camera. We’re not the interlocutor, although there are some voiceovers where I have to explain and provide context. We tried to keep ourselves out of it and allow people to interact with the population that has been essentially sequestered and kept away from the rest of the world. And I think, you know, our work and the work of a lot of people who have been covering Palestine, and covering Israel from a critical perspective for the last few decades, particularly last decade, I think has started to bear fruit. And I think we’re starting to see the debate start to shift in the United States as people really are forced to reckon with the real apartheid Israel, and get to know its victims, and the people who have been forced to resist it. AARON MATE: The film is called Killing Gaza. It’s available at the website KillingGaza.com. It’s by my guests Dan Cohen and Max Blumenthal, independent journalists. Dan and Max, thank you. And thank you for joining us on the Real News. Dan Cohen is an independent journalist and filmmaker. He is the director of the upcoming documentary, ‘Killing Gaza’.